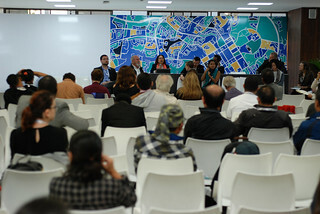 Sixteen Partner Constituent Groups that contributed to the Habitat III process held an array of roundtable meetings. These roundtables presented an opportunity for these key partners to participate and to organize their constituencies around the substance of the New Urban Agenda, laying the groundwork for inclusive and representative implementation at every level. Majority of these roundtables were open to all participants.